Biomedical equipment is the lifeblood of hospitals and clinics, You count on your equipment to deliver accurate test results, monitor patient care and provide patient comfort. enBio understands the important role of biomedical equipment in modern healthcare, and we earn your trust by keeping your equipment at peak performance. We understand that patients rely on doctors and clinicians to deliver accurate information. 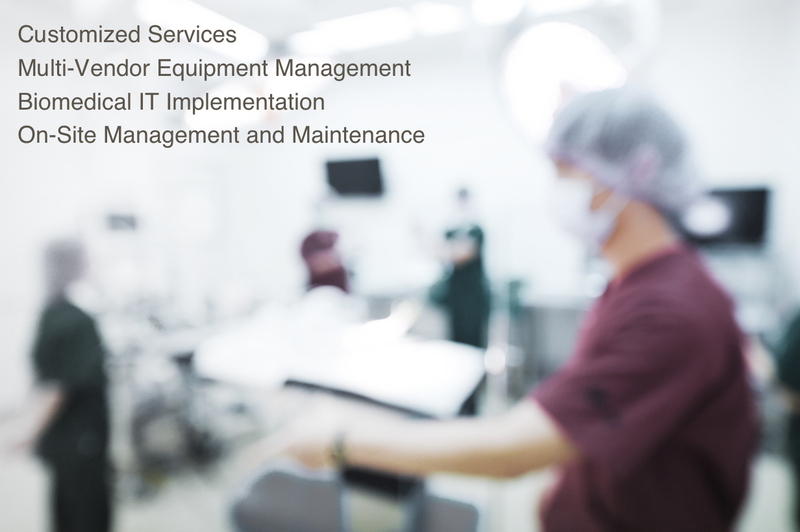 enBio makes healthcare happen by delivering customized biomedical technology management services that keep your diagnostic equipment fully operational and performing accurately. enBio makes healthcare happen with our commitment to you, your organization and your patients. Our clients appreciate the value of a trusted, impartial partner that will help evaluate new equipment purchases or decisions to retire old equipment. enBio provides recommendations that make the most sense for your organization. Discover why the nation’s largest hospitals and clinics turn to enBio as their trusted partner for biomedical technology management services. Medical professionals rely on monitoring equipment and biomedical technology to deliver timely and accurate diagnostic information. By removing the maintenance burden from healthcare facilities, enBio empowers your staff to spend more time focused on patient care. enBio is an active member of The California Medical Instrumentation Association (CMIA), the Association for the Advancement of Medical Instrumentation (AAMI), and the Medical Equipment & Technology Association (META). We are dedicated to providing world- class biomedical engineering services, and in shaping the future of healthcare. We proudly offer our clients a full suite of services and convenient account payment options, including direct invoicing and credit card processing. Choose the method that works best for your organization and leave the rest to us.